Home / Tokoh & Peristiwa / Who is Cornelis de Houtman ? Who is Cornelis de Houtman ? Cornelis de Houtman (born in Gouda, Netherland, on April 2, 1568) was a Dutch traveller who found a sea route from Europe to Indonesian Archipelago and success started to carry out spices trading for Netherland. 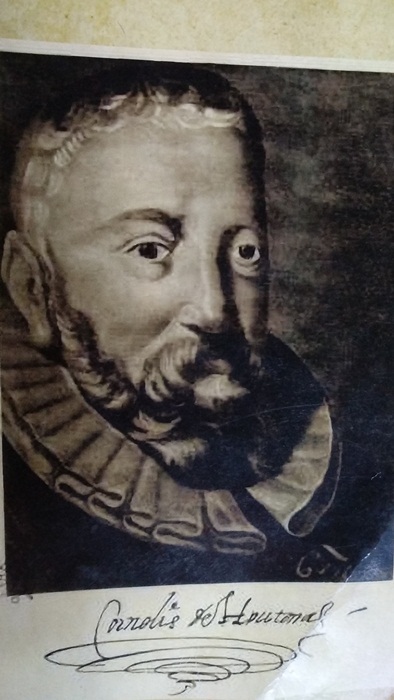 In 1592, Cornelis de Houtman sent by the middlemen of Amsterdam to Lisbon Portugal to collect information as much as possible about the existence of spices islands. 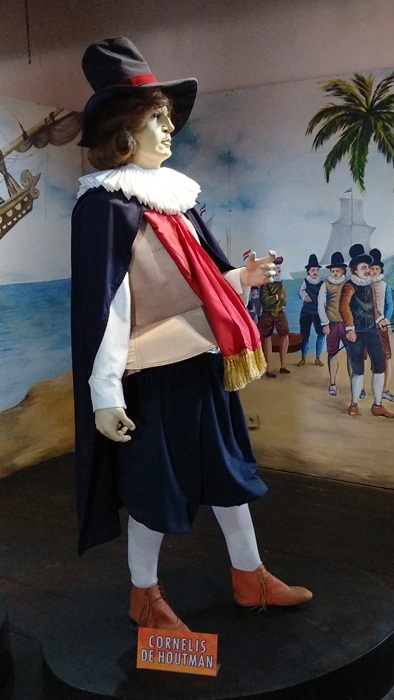 As he returned to Amsterdam, another traveller who accompanied him sail on the Portuguese’s fleet, Jan Huygen van Linschoten came also back from Indian. Getting information, it concluded that Banten was an appropriate spot to purchase the spices. The fleet under Cornelis de Houtman assisted by a chief navigator, Pieter Keijzer and Molenaar Jansz, and Gerrit van Beuningen contain 3 (three) big ships such as “Mauritius”, “Hollandia” and “Amsterdam”, accompanied by the little ship “Duyfken”. Mauritius ship with the Captain Jan Molenaar crewed 85 personnel, included Cornelis de Houtman with 200 loads each 2 (two) tons in weight. Hollandia ship under the command of Jan Dignumsz accommodated 85 personnel and 200 tons of cargoes. The third ship, Amsterdam, with the leader Jan Jacobsz Schellinger, crewed 59 personnel with 100 cargoes. And the last ship, Duyfken as spy ship kinds of pinas ship suited for shallow waters under the captain Simon Lambertsz Mau and crewed 20 personnel with 25 cargoes. A note wrote that the 4 (four) ships armed with 100 canons. On November 13, 1596, de Houtman disembarked in Jayakarta Port. On November 14, 1596, their ship visited the officer to look for kinds of aid given to the Dutch’s fleet. 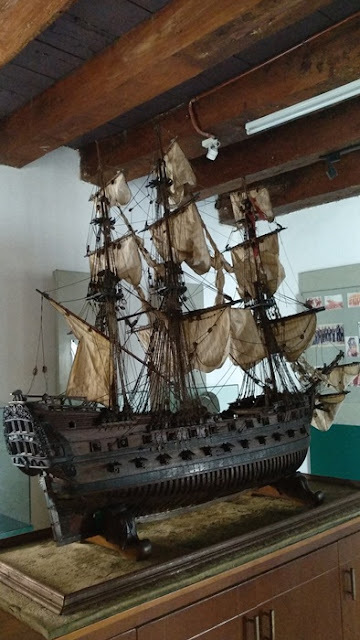 They also gave a call by the ships of Jayakarta inhabitants which offer logistic aid such as rice, fruits, coconuts, chickens, in abundant stocks with cheaper prices than Banten offered. They also purchased drinking water source Ciliwung River at that moment noted that the condition was still clear and hygienic.